Well, it’s been a long time coming, but it seems users will finally be able to browse the web with the Daydream headset using the Chrome browser. I took a look and we wrote about the infant stages of this development all the way back in September of 2017, so to say this development is long in the tooth is a bit of an understatement. The overall interface is still very simplified, but effective. Users need not download anything additional: just launch the latest version of the Daydream app, select your app library, and Chrome will be there for use. The Daydream remote works quite well for navigating as the main button doubles as a trackpad for scrolling through any website you pull up. Additionally, videos expand nicely and provide a very immersive experience when watched in this mode. For now, you are looking at a mobile version of websites and there isn’t a way to zoom in or out, but I’d assume more options will come as time passes. I’d personally love to see a desktop view option and a simple way to zoom in as well. While I’m wishing, I’d also love to see a new tab button that loads another window instance next to your current one. I can imagine a scenario with multiple tabs open in space where I could just look around to see multiple streams of content. Currently, you can drag your Chrome window around in space, so it seems this isn’t out of the question. Additionally, there is a great virtual keyboard that works just as you would expect when you need to type into a text field. Early versions of web browsing in VR sorely lacked this feature, so it is fantastic to see it in production. Overall, though, the real point of a browser in VR isn’t basic web browsing. Instead, Chrome in Daydream will act as a delivery mechanism for WebVR experiences. Up to this point, getting to and using a webVR service was seriously clunky. Without a proper web browser and keyboard, users needed to navigate to a webVR URL and launch the experience before placing the device in the headset. Sometimes that process would launch the Daydream app and leave the webVR site, making the whole process awkward. With this new Chrome experience, however, the whole process is greatly simplified. 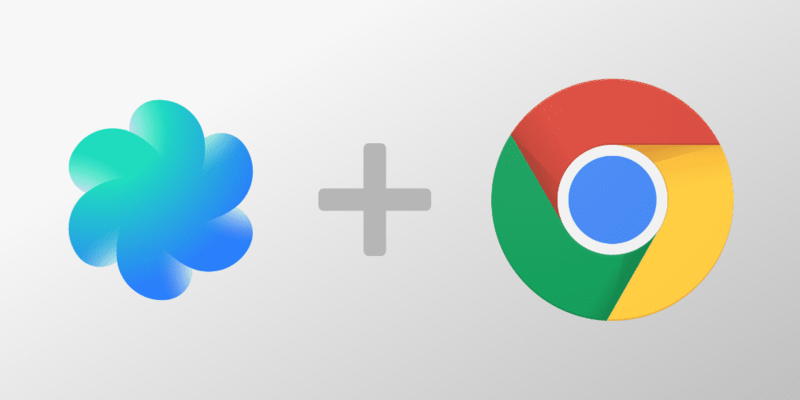 Just open Chrome in the Daydream app, type in the URL, and launch the experience. With this in place, webVR may finally get its day in the sun. The experiences we’ve tried are great, smooth and perform very well. The main hiccup for people giving this a chance up until now has simply been the difficulty in navigating to the source. That’s not an issue any longer. With a handful of tweaks, I really think browsing the web on a VR headset could become a usable function. I imagine a future scenario where I can have multiple tabs open in space all around me with full desktop views and keyboard support. With a few more advancements in screen resolution and hand tracking, VR workstations could actually become a viable alternative to buying big monitors. Maybe not, but it’s fun to dream, right?